Summer … That desolate stretch of networks dumping cheaply-produced, mind-numbing reality shows to substitute for any worthwhile programming. That action less void of sports TV, except for golf (yawn) and baseball (double play yawn). That miserable oven of heat and humidity (hey, this is Florida) that saps the very will to budge from your mind or body. 10) Crowded House at the Hard Rock Live. 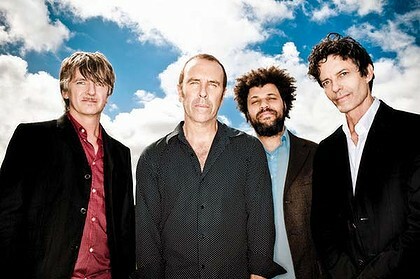 The band Crowded House played their farewell concert in Sydney, Australia fourteen years ago to a crowd of about 250,000 fans singing along to every song. My son and I enjoyed this ‘comeback’ tour from 7th row dead center at a venue holding less than 2,500. America, unlike the rest of the world, never fully ‘got’ Crowded House, which is perplexing, because front man/singer/songwriter Neil Finn is as close as you’ll ever get to John Lennon’s biting lyrics and hard rocking and Paul McCartney’s great voice and soothing melodies wrapped together in one performer. “Don’t Dream It’s Over (Hey Now)” may have been their only big stateside hit, but going by the enthusiasm of this show and the audience love sing along, this ‘dream’ band is very much alive. 9) “The Ghost Writer” on Pay per View. What a nifty, old-fashioned spy thriller. Hitchcock would approve. The story involves a hack writer (Ewan McGregor) hired to rewrite the memoir of a controversial former British Prime Minister (Pierce Brosnan), whose previous ghost writer died mysteriously. Needless to say, our hero soon finds what a scary, deep shitstorm he’s gotten himself into. Roman Polanski is a master director who just knows how to shoot a well-told story with a compelling, non-stop sense of unease. I shudder to think what the Hollywood studio version of this would be (loud and noisy and jerky and short of attention span – in other words; Vantage Point). And please folks, separate the art from the artist. If you removed all the music, movies, paintings and books created by assholes, jerks, criminals, misanthropes, misogynists, perverts, addicts, or just damaged egomaniacs, there’d be very little left of any worth. Sometimes it’s what they’re escaping from (the ugliness of who they really are or how they feel) that drives them so relentlessly toward crafting something beautiful, pure and masterful. 8 ) Blue Rodeo “The Things We Left Behind” on CD. Canadian folk rock band Blue Rodeo have been around for a long time, but unlike many bands who produce a few great albums early on and then coast on mediocrity, this double CD finds them still reaching for musical nirvana, and achieving it. If you like early acoustic Pink Floyd or the Eagles when they were still hungry, here’s your perfect soundtrack. It’s the only thing I’ve heard all summer that keeps finding its way back to my car CD player. There are lilting 10-minute suites, and perfect 3-minute pop chestnuts. And just try to escape the haunting mantra of “Don’t Let the Darkness in Your Head” from, well, haunting your head. It’s a chant we all need embrace to escape the bleak moods (or news) we either get stuck in, or find the strength to overcome. This beautiful double album summons that strength. 7) Mad Men on AMC. Nothing pops through the bleakness of summer television like the return of this gourmet feast for lovers of sophisticated and engrossing television. And where else (besides The Sopranos) can you find a more sympathetic heel than Don Draper, who disgusts you at the same time he compels you to root for him? That takes writing AND great acting, which this show has in spades. 6) Louie on FX. Speaking of miserable heels; Louis C.K. is to a New York comedian’s life what Larry David was to Los Angeles on Curb Your Enthusiasm. You squirm watching his embarrassing social gaffes and inevitable self-loathing, but the difference is that Louis is aware of his loser status, is trying to overcome it through fatherhood, and actually struggles to find a way to connect to other humans, whereas David is forever stuck being the inconsiderate lout who basically doesn’t seem to care beyond his own needs in the end. Louie got soul. And some awesome New York supporting actors. 5) The Virginian, Season One on DVD. Nothing provides a better escape from the reality of the present than a good, old fashioned classic television show from the past. I always liked the 90-minute NBC show The Virginian (which ran from 1962-1969) featuring my early childhood hero Trampas (and later Hollywood ‘pal’ Doug McClure), but watching this show now I’m surprised at the good stories and great actors. Each episode is literally a mini-Western movie. Some with A-listers like Bette Davis, Robert Duvall, and Lee Marvin, and some by feature directors, such as Sam Fuller. Plus, this show was largely shot on location and not some fake outdoor set like Bonanza. If you like Westerns, hitch a ride and be transported to a time and place where old-school values and first class stories roamed and ruled. 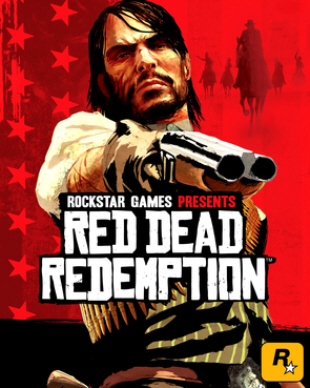 4) Red Dead Redemption on Xbox 360. Speaking of Westerns, I bought this game for my 13 year-old son (or actually myself – it’s “M” rated) in May, and here we are three months later still not finished the main single player campaign. The graphics are realistically awesome to the point where you literally ARE transported into the old West (with some modern day gore and language) becoming part of the story. You can play the game honorably; completing the missions, saving people in distress, and only killing the bad guys. Or you can play the game as a roaming ruthless outlaw, with each version having its own consequences (it’s made by the same company that did Grand Theft Auto). I was immensely relieved to discover my son (having played hours and hours on his own) taking the ‘good’ path and achieving the highest honor rating possible. His dad, on the other hand, was not so honorable. There were a couple of scumbag unarmed villains I had to shoot even though they were already captured and hogtied. 3) Schlotsky’s Deli at the Austin Airport. We used to have five Schlotsky’s franchises locally, but they vanished years ago and the closest one is 90 miles away. Still, that hasn’t stopped me from driving there for lunch. A great vacation visiting my sister at her house south of Austin was bookended by scoring my family’s favorite round sourdough bread and minced meat sandwiches on the way in and on the way out. Schlotsky’s Deli is headquartered in Austin and part of the normal fast food landscape there, but like all treats in life, you appreciate them only more so when they’re gone. 2) “Inception.” Thank God there was one movie this summer not based on a comic book, a previous movie, television show, Disney ride, or candy wrapper. You actually had to invest some functioning brain activity to follow the plot and keep up with four simultaneous finales going on at the same time within different dream levels. And the ending was open to your own feelings or interpretation. Was he still in a dream or not? If you were still on board and paying attention, you may have noticed Leonardo’s character didn’t really care at that point, so why should we? It was a fun ride. 1) “Hellraisers: The Life and Inebriated Times of Richard Burton, Richard Harris, Peter O’Toole and Oliver Reed” by Robert Sellers. A writer better damn well include a book on this list, so why not one that lets us vicariously enjoy the most outrageous and salacious adventures of the best party animal actors that ever lived? Personally, I don’t think my own constitution could have matched or survived any one of these incidents or activities of mass alcohol consumption, barroom destruction, or insatiable sexual conquest. But if you read my previous blog (“Two Weeks at War”), you know I tried … God knows I tried. You are currently browsing the Hollywoodaholic blog archives for August, 2010.